Find out the collection days for your waste and recycling bins, and how to order a new bin or report damaged bins and missed collections. Your bin lid should be able to close. 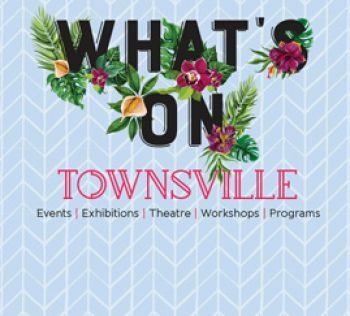 Waste and recycling is collected on all public holidays. 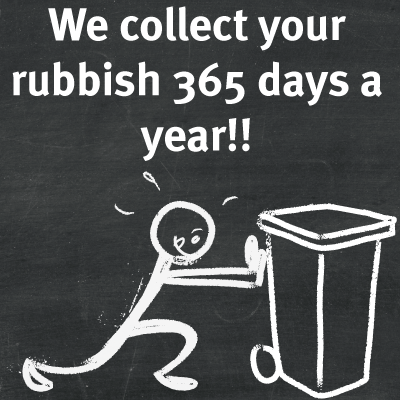 Our kerbside collection service runs 365 days a year. 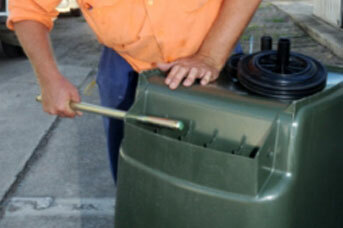 Residential waste and recycle bins can be ordered by contacting our customer service team. Standard issue is 240L waste/240L recycle bin, but you also have the option to upgrade to a 360L recycle bin or opt for a more landfill-friendly 140L waste bin*. Commercial non-residential customers may also opt for these alternatives (conditions apply). Waste and recycle bins are the property of the residence and their care and maintenance is the responsibility of the resident. 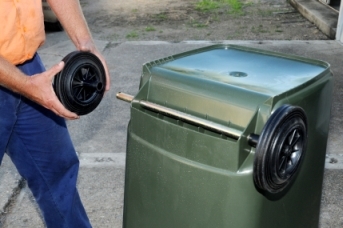 Damaged bins may be inspected by our Waste Services team and may be repaired or replaced at their discretion. Order it over the phone by contacting our Customer Service team on 13 48 10. Take a hammer and tap the new bin into place to hold lid to the bin. 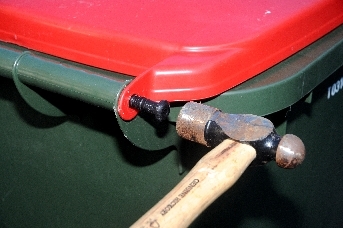 Position the lid and take a hammer to tap the new pins into place to hold the lid to the bin. Position the new wheel on the end of the axle and push into place. (There is a small spring pin inside the wheel that locks wheel into place). Position a wheel on each end of the axle and push into place. A sticker may be placed on your bin if there was a reason why it couldn’t be collected; for example, if the bin contained inappropriate material. The sticker will include instructions about what to do next and how to arrange another collection. Fees and charges may apply. If your collection was missed for an unknown reason, you can report via our Customer Services Team on 13 48 10. If you move home, please leave your waste and recycle bin at the property for the next resident to use. All waste and recycle bins carry a unique identity number registered to the address it was allocated to. What’s your bin collection day?